If you’re like me and fall is your absolute favorite season, you’re probably itching for some cooler weather, cozy sweaters, and a warm latte right about now. (And mostly NFL season, am I right? Go Pack.) For some reason, by the middle of summer, I’m always impatient for fall. Actually, I would be thrilled if it were October all year round! 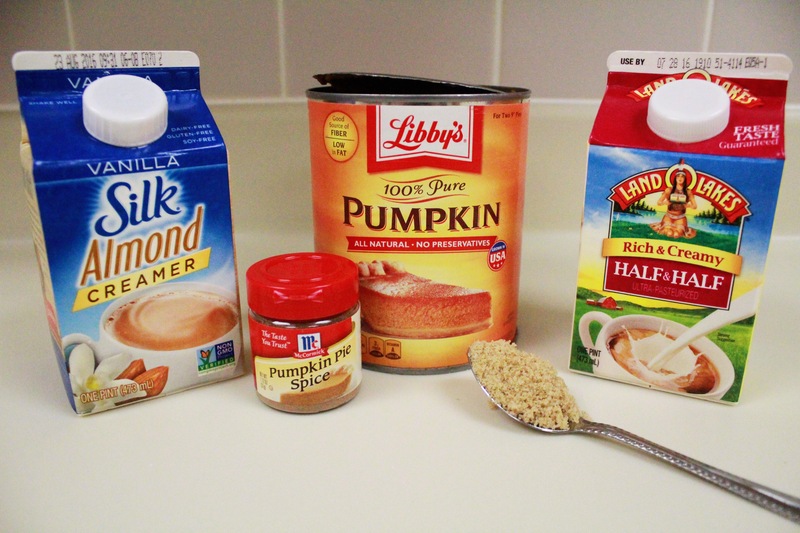 I love a good pumpkin spice latte, but it can be hard to get that fix out of season. Never fear, friends, for I have created the absolute easiest way to DIY some homemade creamer! You only need a few ingredients, and it takes minutes to throw together. 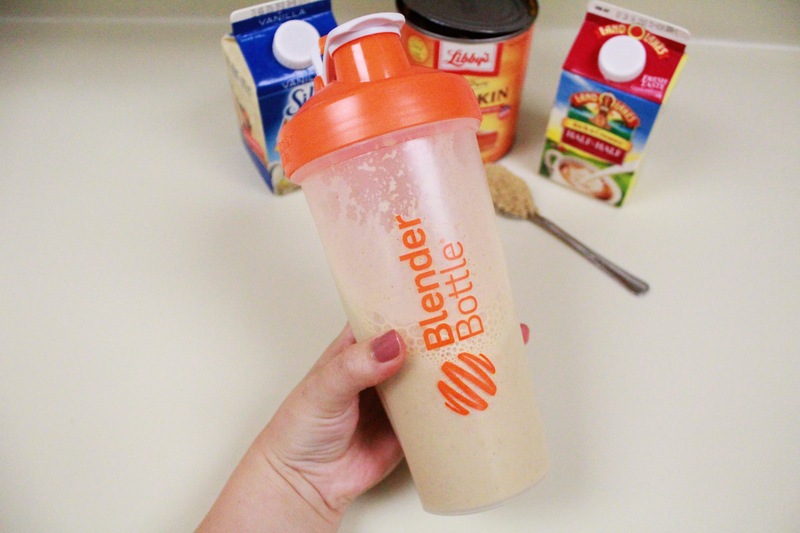 Dump all ingredients into a Blender Bottle and shake! This makes 16oz of creamer, and it should keep in your fridge for a week. It’s tasty, creamy, and the perfect amount of basic white girl. Love it. Grt8 post.. What an awesome idea… Question do you have to use the 1/2 &1/2 ? Can one just use the Vanilla Almond?